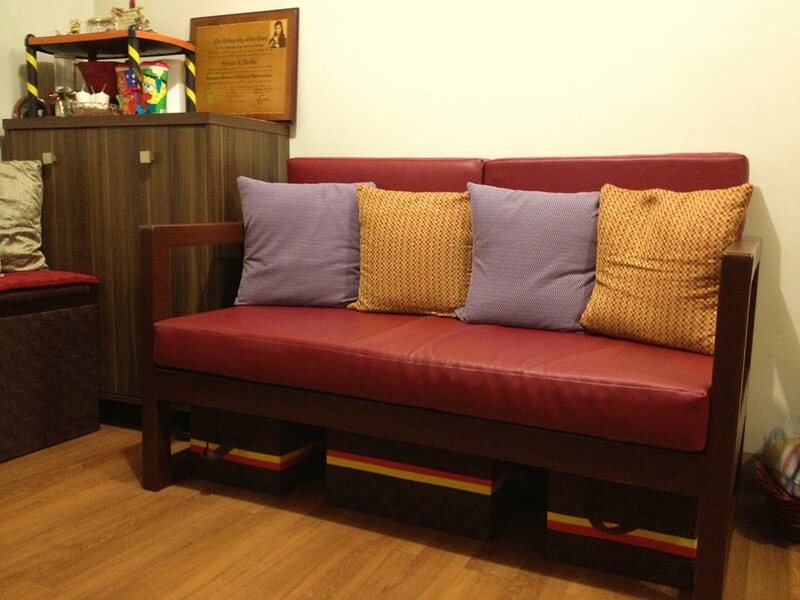 The challenge of living in a small home is how to make all furniture you needed fit on a limited space. 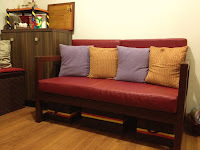 Last month, I bought this two seater wooden sofa. I did not opt for that one with pullout as it is more expensive. I am glad I found these native looking boxes. Tartan tapes livens them up under the couch. Most of all.. 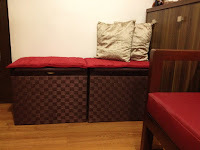 I am happy to have found these big storage boxes I can use as bench. Side view.. view from the kitchen. 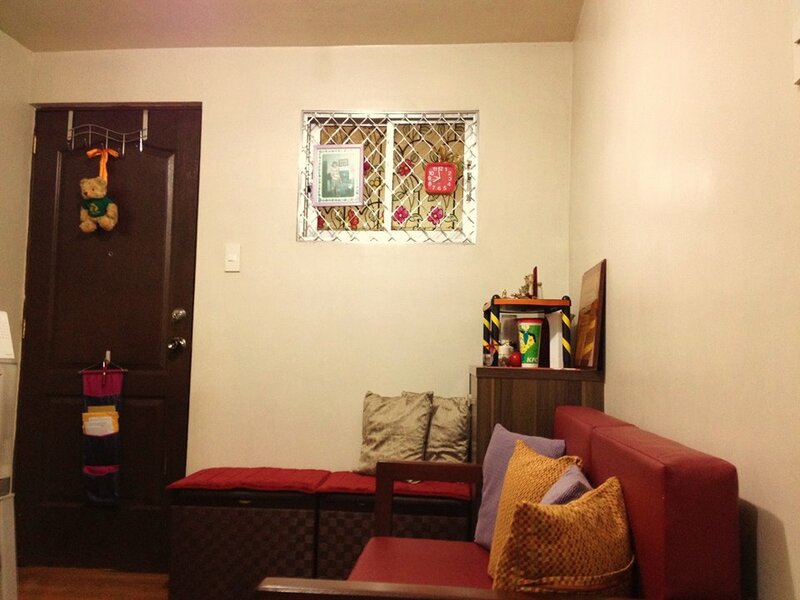 The two bedroom condo may not be perfect, yet it is one I can call .. home.